Many people are interested in 3D printing, but intimidated by the setup and maintenance. Or maybe that isn’t such a problem, but the thought of giving up valuable desk or counter space is. 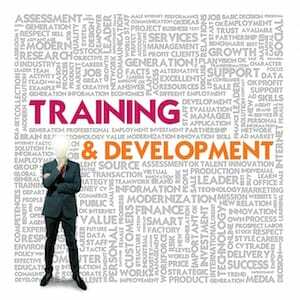 Getting started with 3D printing may seem like a commitment that some people just are not ready for yet. If that describes you, then AIO Robotics may have just the solution. 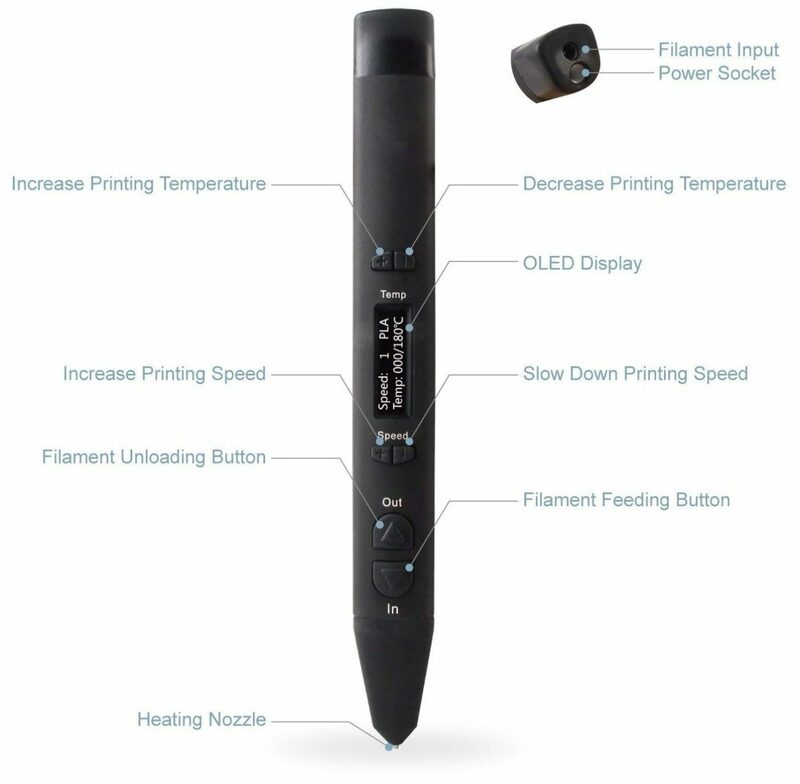 The AIO Robotics 3D Printing Pen gives you a taste of 3D printing in the palm of your hand. Rather than a box that requires software and setup to slowly print your ideas, the 3D Printing Pen allows you to take a more arts-and-crafts approach. Draw to your heart’s content in 3D space. 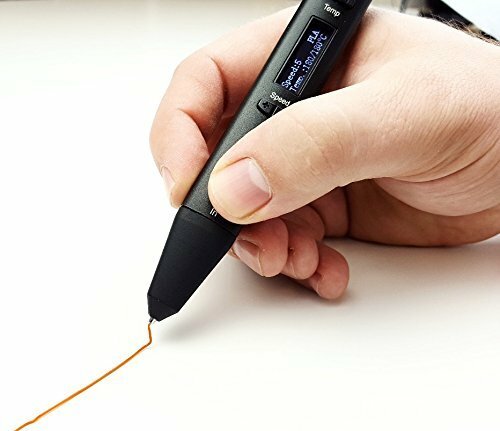 The AIO Robotics 3D Printing Pen features an all-metal ergonomic stylus design and an OLED display for monitoring PLA flow speed. You can also adjust the temperature of your hand-held extruder in 1-degree increments. While you can’t exactly expect the same functionality of a desktop 3D printer, a 3D Printing Pen is great for getting students or other newcomers familiar with the mechanics of 3D printing in a trimmed-down package. You won’t find support for a wide variety of filaments (PLA-only), nor can you set a print to go and leave it. But what you get instead is a fun new crafting tool that provides the fundamental concept behind 3D printing, while fitting easily in your pocket. 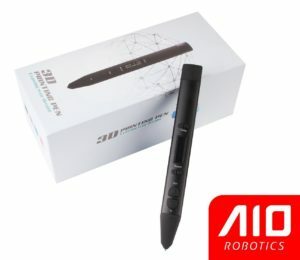 Have you used the AIO Robotics 3D Printing Pen? Please comment and let the community know your thoughts, rating, or review.